Spanish rider on the way to recovery after his crash at the Volta ao Algarve. Despite falling victim to a crash during the Volta ao Algarve at a time when he wore the leader's jersey, Astana’s Luis Leon Sanchez still finds reasons to smile. “I have suffered many bruises and I ache all over but fortunately nothing has been broken. It hurts, especially the arms, because it was an unexpected fall, I have pain in the jaw, the scraped knees. The wound to the chin? I was losing a lot of blood, and those who saw me on the ground feared the worst, however, even the head remained whole...," Sanchez said according to Tuttobiciweb. In terms of his future plans for 2016, Sanchez explained that the crash wouldn’t cause any major alterations to his race itinerary. “It will not change much, even if the blow was hard and it takes a few days of rest. But today I return cycling to recover as soon as possible and get myself in good condition prior to the start of Paris-Nice. “I was beginning to lose the taste of success and I had a great desire to win. I started well in Valencia, I had a good feeling in Murcia and then in Algarve victory came my way at last. It gives you peace of mind and confirmation of the good work done. And when you go home, you see things in a different perspective. Sure, I would have liked to be able to play my hand on the last stage because I felt really good. 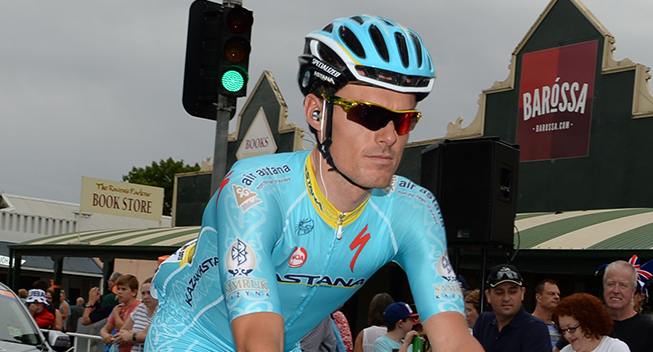 Sanchez will be part of the Astana team participating in the upcoming Paris-Nice, 6-13 March.